"This new singer/songwriter is all class and is backed by a superb band. What a team! They will undoubtedly go far. They all really delivered tonight and could well be the best act we have ever had at Music Lab"
"Your music is for now. It's a new style of rock"
"I didn't expect a band which looks like you do, to sound the way you do." "You're the rock fairy, you're the female Jimi Hendrix, there's no-one like you in music today." 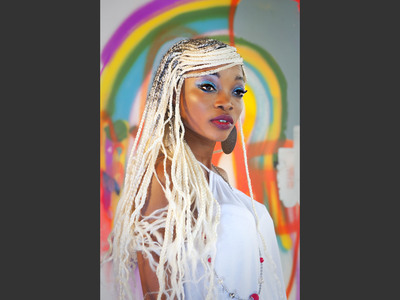 Singer/songwriter MonAnnLisa Wilde has had song melodies and lyrics dancing around in her head for as long as she can remember. 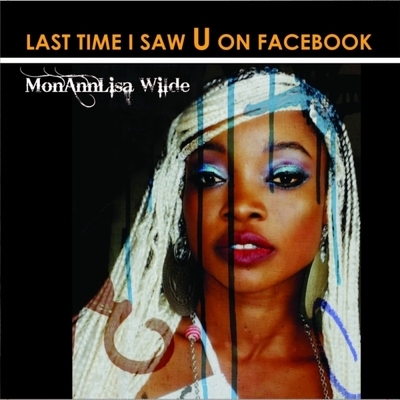 Born in Africa’s beautiful Ivory Coast to an Ivorian mother and Egyptian father, MonAnnLisa is finally getting those songs out to the masses via a brand new EP, titled I Last Saw U on Facebook. Having moved from Africa to Australia as a young woman, relocation took away her comfort zones and subsequently made her a stronger person. The move showed her that there are many different ways of life and many different styles of music, which made her more open as an artist and songwriter. With tracks produced by Sven & Ritchie and Peter Northcote, the EP features something for everyone. One of the newer tracks like "Love Revolution" was written for today's love and relationships, especially for gays, lesbians, interracial lovers, etc. while the rock number “Shibuya” was inspired by the beauty of the trendy Tokyo, Japan neighborhood of the same name. Older songs like “F.U.C.Kill Me” and “Shut Up the Police” feature a more pop sound than the band’s later works but still hit home lyrically. Monannlisa and band have played at a range of Sydney live music venues including the Annandale Hotel, Tone and the Beach Road Hotel. “The thing I love most about creating music is taking all the lovely tunes and songs that live in my head and sharing them with the outside world,” says MonAnnLisa. “I will keep writing and playing till I leave this life.” With a video clip for her first single already circulating and a follow up EP planned for a 2012 release, it seems that this is only the beginning of the world’s experience with MonAnnLisa’s very unique mix of talent, voice and swagger.